I made these for Christmas last year (2017) and they turned out to be pretty tasty but a lot of trouble to make and, as such, didn't look as good as I'd hoped. Still, nice to do something a bit different with my ice cream making for this recipe. The finished product is a small ball of chocolate, rum and mixed dried fruit ice cream covered in hard chocolate and topped with marshmallow and decorations. 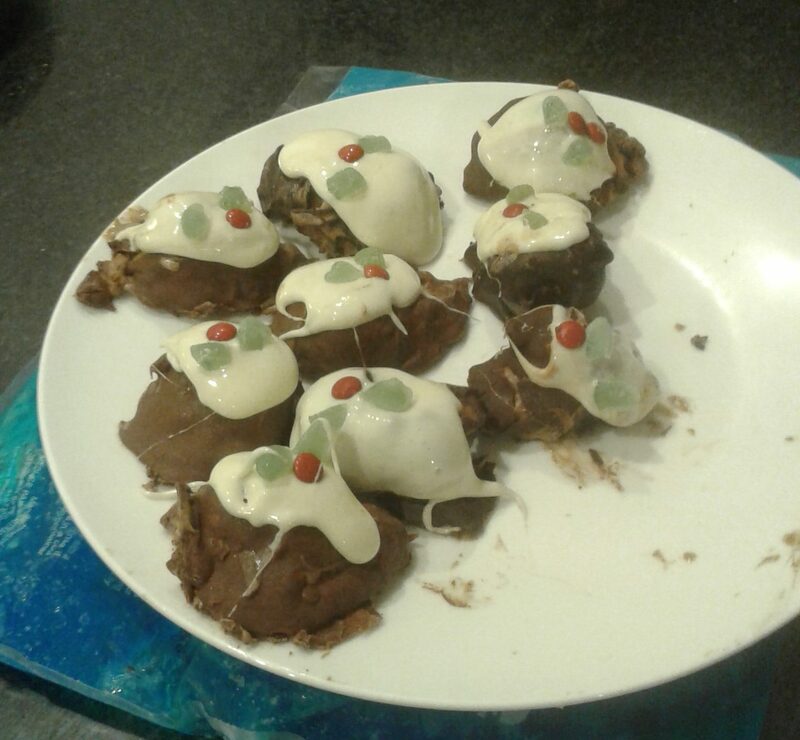 The idea is that the rum and mixed fruit bring the flavors of a Christmas pudding then the hard chocolate coating, marshmallow and decorations make it look like a mini pudding with custard and holly on top. I drew inspiration from an old book (Old Fashioned Homemade Icecream by Anne Creber, 1979) for the base and combined with this Mei's Hot Chocolate Ice Cream Bites recipe from Buzzfeed to get the balls with marshmallow. Note: Rather than buying boxes of each of the ingredients which would have resulted in a lot of left overs, I found a box of 'Mixed Fruit' which had sultanas, raisins, currants, mixed peel and glace cherries which worked just fine. Note: The melted marshmallow was really difficult to work with so I ended up using 2-3 times the amount listed above. I suggest you have extra on hand incase you find yourself in the same position (butter too). Remove base from the freezer and using a melon baller, trigger action ice cream scoop or table spoon, scoop out balls of the ice cream and place on a parchment covered sheet pan (baking sheet/tray) then return to freezer for 1 hour or until firm. You'll need to work quickly so the balls don't melt too much. If you can get a helper to work with you that will make things faster and you can try putting ice packs under your sheet pan to keep the temperature of everything down. Remove ice cream balls from the freezer and dip/roll each ball through the melted chocolate until coated then place back on the tray. You can use two forks to handle the balls. Note: I found the melted chocolate difficult to work with as the balls were melting out of shape and the chocolate coating too thickly so I was only able to do about half. For the second half I used chocolate 'Ice Magic' which is liquid at room temperature, a thinner consistency than the melted chocolate and sets quickly on contact with the ice cream. This was much easier to work with but doesn't taste quite as good as the real chocolate. Dip/drag a ball through the marshmallow, return to the tray and place your decorations on top before the marshmallow sets. Repeat and work quickly until all the balls are done then return tray to the freezer until balls are ready to serve. 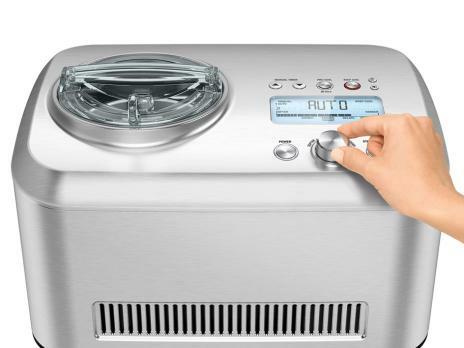 Don't have an ice cream machine or looking to upgrade? 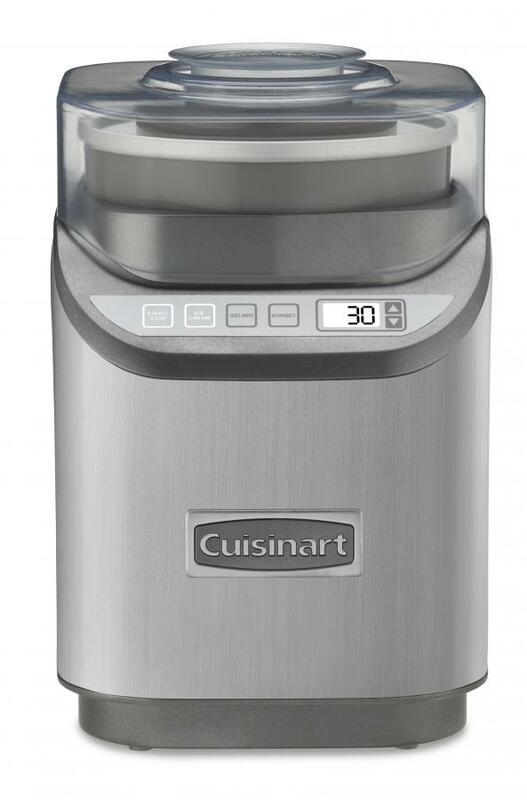 The two ice cream makers I recommend are the Cuisinart ICE-70 and the Breville BCI600 XL. Click the images below to read more about those two machines or check out my complete guide to ice cream makers to see all the options and read the pros and cons of each. Spoonreport.com is a participant in the Amazon Services LLC Associates Program, an affiliate advertising program designed to provide a means for sites to earn advertising fees by advertising and linking to Amazon.com.